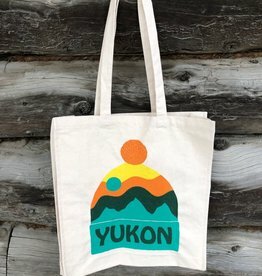 Souvenir tote bags designed in the Yukon and exclusive to The Collective Good. 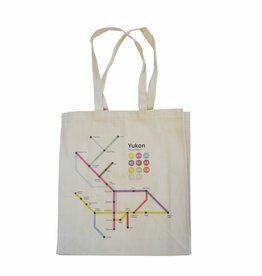 The perfect carry all for your trip to the market. 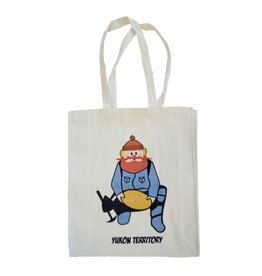 Take off eh! 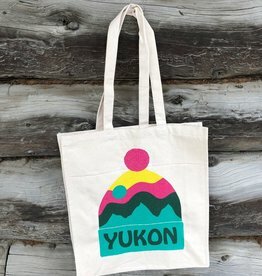 with one of our Yukon landscape inspired toque totes. 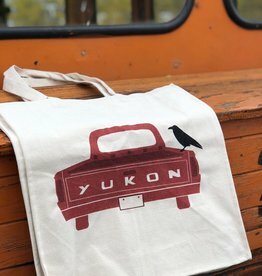 Designed in Whitehorse and printed on a generously sized 16.5 x 16.5 natural cotton canvas tote. 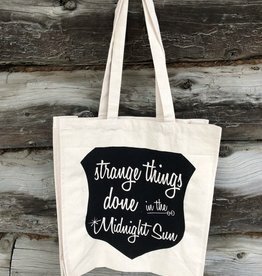 "There are strange things done in the Midnight Sun by the men who moil for Gold"
- "The Cremation of Sam McGee"